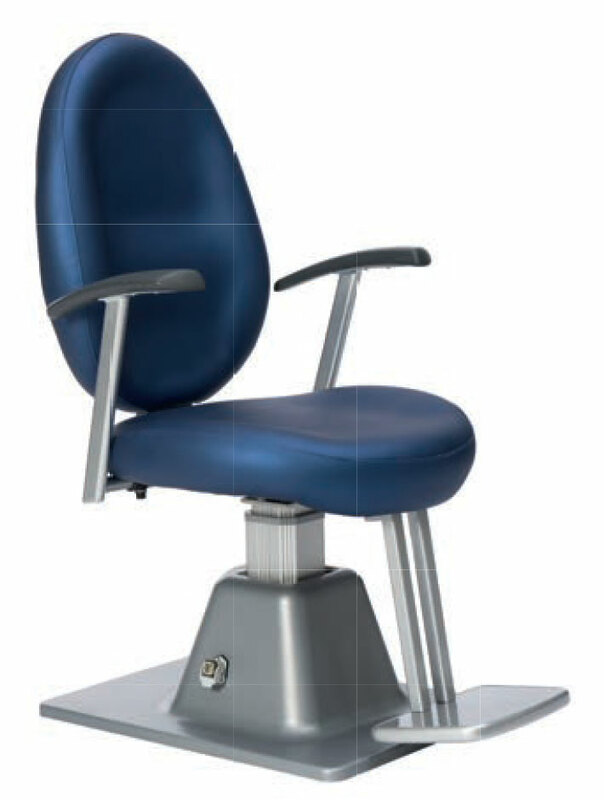 CSO R2000 Standalone Refraction Unit Chair. Non reclinable chair with electronic height adjustment, armrest and footrest. Also available with refraction units. "The CSO chairs for refraction units are conceived and created by master craftsmen with top quality materials. The chairs can be customized with various kinds of fabrics and colours, and can be equipped with accessories and features such as: footrest, lifting movement, anteroposterior movement, reclinable backrest and adjustable headrest."